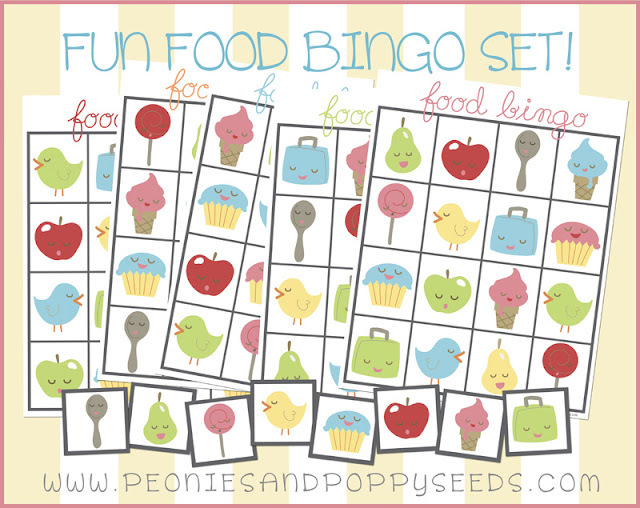 A passion for Beautiful Things: Free Printable: Food Bingo! Too adorbz for wordz this Food Bingo printable you guys. Here's to all of you always looking for new activities to spend fun times with the little ones. CLICK HERE and download this cutie courtesy of Peonies and Poppy Seeds. Too adorbs is right!! Lovin' your beach attire, hope you have an awesome trip in April!! And you look absolutely AMAZING in your new profile pic.